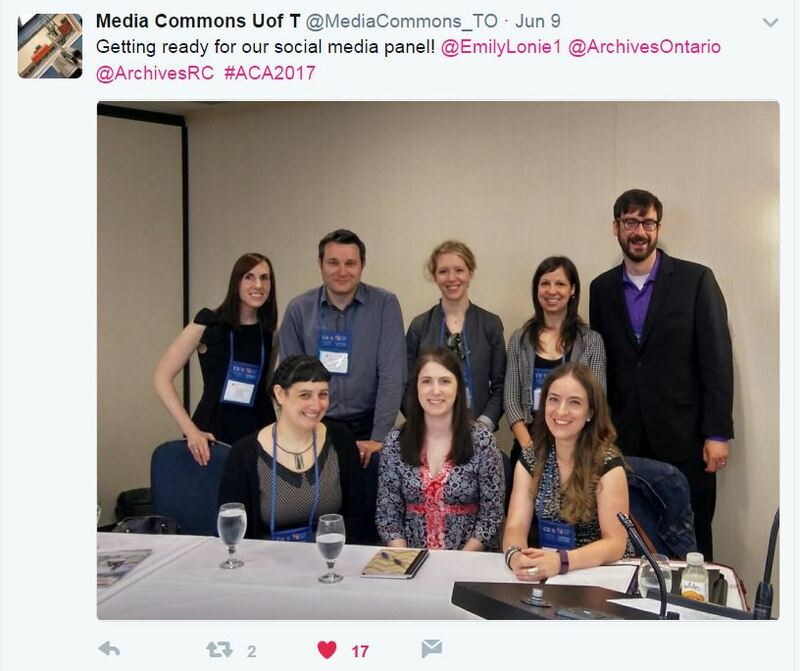 A year ago, I wrote about how excited I was about the incredible work being done by archivists in Canada and abroad and how the ACA 2016 Conference in Montreal had inspired me to start a blog. I can’t believe a year has already passed, but here I am, back home after ACA 2017 in Ottawa, and yet again I am fired up and inspired by the thoughtful, challenging, and important work being done by archivists. It feels appropriate to be celebrating the first anniversary of Things I’m Fonds Of during a year that is filled with efforts to mark significant national, provincial, and institutional milestones. 2017 marks 150 years since Confederation. This anniversary gives Canadians an opportunity to reflect on who they are, what Canada means to them, and to identify the challenges inherent in the dominant historical narrative(s). Canada 150 is meant to bring us all together but it is also an opportunity for us to confront the difficulties in our shared past, to make ourselves uncomfortable by hidden truths, and to grow as a more informed community. I commend the ACA 2017 Programme Team for the choice of conference theme, Archives Disrupted – one that seems so timely for this year of celebration and reflection. 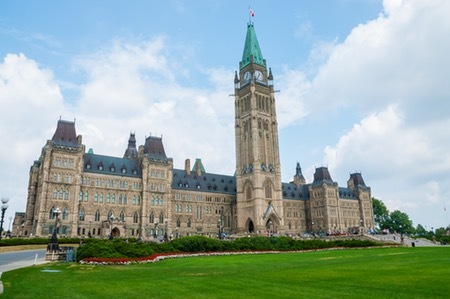 The call for papers suggested that “the archival endeavour can emerge strengthened and changed from the effects of disruptive forces,” and it follows that the same can be said for Canada. Archives Disrupted was not only a theme to inspire the content of the papers presented at the conference, but it was taken as inspiration for the structure of the conference itself. It can be very difficult to shake up long-accepted traditions, so it is all the more impressive that the Programme Committee managed to shake us from our malaise and introduce some different session formats this year. 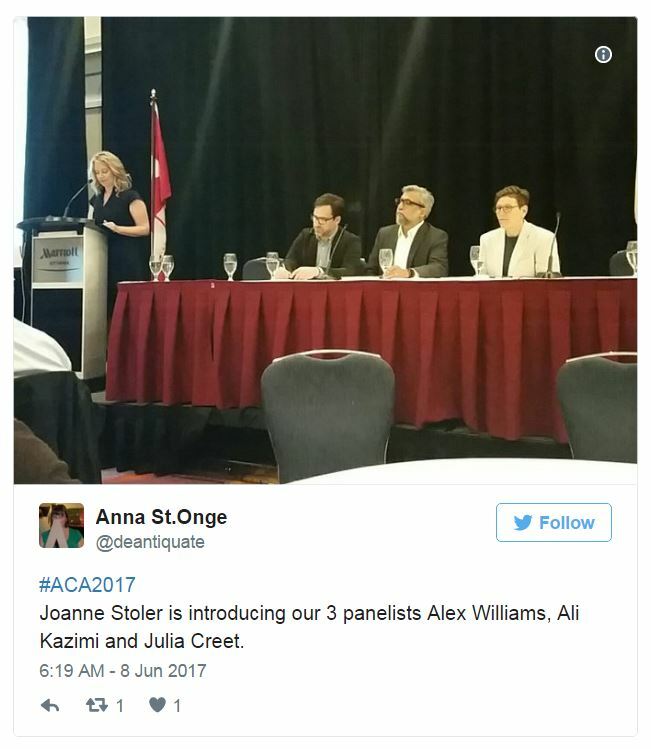 ACA 2017 embraced the potential chaos of the Pecha Kucha format, moved chairs for an intimate Archivists Book Club, pitted two nations against one another in an impassioned debate, invited filmmakers to reflect on their use of archival material, and combined a presentation with popcorn at a movie screening followed by an informed discussion. These “disruptions” prevented me from experiencing the inevitable conference fatigue. Instead, I felt an engagement I have never felt before at an ACA conference. I thought I would go over some of my highlights, but if you are interested in revisiting the entire conference, one 140 character chunk at a time, Rodney Carter has used the magic of Storify to compile all the tweets into two parts. Part One covers pre-conference excitement through to the end of Day One, while Part Two picks up the action on Day Two, providing all the International Archives Day fun, followed by reactions to the powerful and emotional plenary by Eugene Arcand, through to the final dance moves high atop the Ottawa skyline. I was struck by the number of times presenters used the word “uncomfortable” at this year’s conference. The opening plenary featured three filmmakers who use archival records to support, to interrogate, to enhance, to question, to subvert the dominant narrative, and to wake people up to injustice. Alex Williams’ film The Pass System explores a systematic attempt to subjugate indigenous peoples in Canada in order to ensure the success of colonial expansion in the 19th and 20th centuries. The pass system was never legislated but persisted for more than sixty years, illegally limiting the free movement of indigenous peoples. Williams explained that the archival documents are “maps of trauma” that once seen cannot be unseen, unfelt. Ali Kazimi’s film, Continuous Passage, uses the story of the Komagatu Maru to examine what it means to be Canadian. His film employs archival footage and photographs to challenge the dominant narrative of Canada as an open society. He explained that archives are necessary for us to be able to re-examine and question the notion of our collective and individual identities. We need archival records so that historical realities are not forgotten. 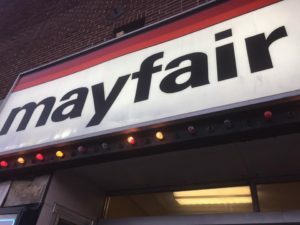 He showed a clip from the film that features the song “White Canada Forever.” The audible gasps and groans from the crowd allowed him to explain that being uncomfortable is a great place from which to learn. In the morning of Day One, Emily Herron (presenting on behalf of Wendy Duff) talked us through a project at the University of Toronto that is seeking to understand the impact of the Eugenics Archive. Preliminary findings indicate that survivors were interested in educating and humanizing, given that the records that exist rarely contain the perspectives of those affected. The project sought to make people uncomfortable in order to make them think. In the same panel, Rebecka Sheffield explained that archivists don’t want to think of themselves as being complicit in colonial missions, though we may be so closely aligned with systems of power so as not to see the bias that is entrenched in our practice. She suggested that archival theory remains focused on records and not the people who create, keep, and use these records. She asked us to consider our work as a process, rather than a product in order to confront the power we have and rethink what it means to be an archivist. In her teaching at Simmons College, she attempts to disrupt the conversation by starting with foundational readings that are then interrogated through case studies and content from outside of traditional literature (Arcan-l discussions, blog posts, etc.) in order to challenge assumptions. This method prepares students to feel uncomfortable and to start to move forward. Presenters did an excellent job this year of tailoring their presentations to the theme of disruption. This meant that participants could follow threads and sub-themes throughout many of the papers, making for an incredibly coherent conference, despite its disruptive intentions. While I continued to enjoy the traditional panel style sessions, I most enjoyed those that broke the ACA mould and ventured into new territory. Shameless plug here, but I so enjoyed the session in which I was a participant. The Programme Committee challenged us to embrace the chaos that might ensue with a session that would include seven presenters. The format was left up to us to negotiate, and together we settled on the Pecha Kucha format i.e. 20 slides x 20 seconds per slide for a total presentation time of 6:40. Don’t be fooled by the short running time. I spent more time preparing and practicing this presentation than any other before it. But it was so much fun to put together and so challenging to condense the message into tiny soundbites. Social media is meant to be absorbed in quick bursts, so this style seemed perfectly fitting for the content of our session. Like a true potluck, our sessions were planned in isolation but came together beautifully, without any repetition. A big thank you to my co-presenters on this one: Rachel Knudsen (City of Wetaskiwin), Rachel Beattie (Media Commons of U of T), Danielle Manning (Archives of Ontario), Andrew Chernevych (Galt Museum and Archives), and Élodie Gagné and Marjorie Grenier-Massicotte (Radio-Canada). Later that afternoon, I had the pleasure of participating in the Archivist Book Club session prepared by Jessica Nichol, Andrea Martin, and Natalie Vielfaure (Association of Manitoba Archivists). A small group gathered in a circle to discuss the archival disruptions of two activist archives recently featured in Archivaria #80 : Radicalizing the Politics of the Archive: An Ethnographic Reading of an Activist Archive and Aging, Activism, and the Archive: Feminist Perspectives for the 21st Century. Unfortunately, the discussion is not captured in the any of the tweets as we were so engrossed in our discussion. We collectively had some issues with the definition of an archives, which is seriously challenged by the 56a Archive. I would have appreciated the perspective of some social justice archivists, as we all seemed to be in agreement and could have benefited from some different perspectives, however, the discussion was lively and interesting – something that was much appreciated after lunch! We all very much appreciated the inter-generational discussion in the second article, which challenged the notion of older women as passive donors rather than creators and users of archival records. 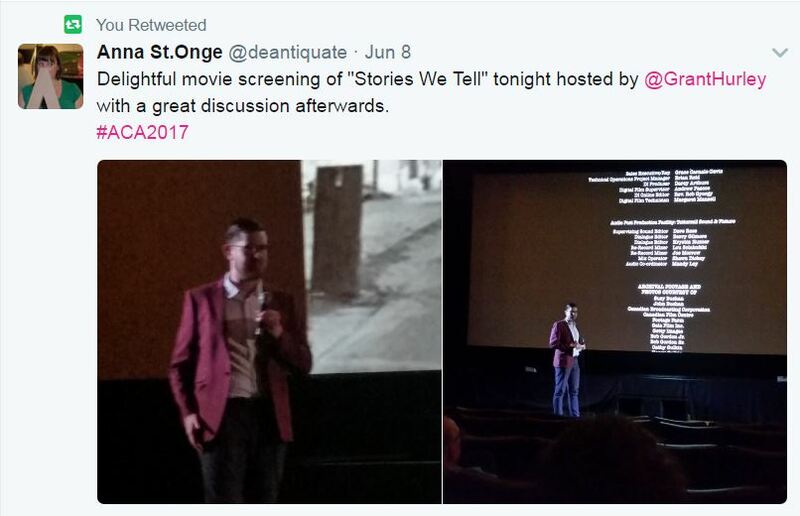 My favourite event this year was the screening of Sarah Polley’s Stories We Tell followed by a presentation by Grant Hurley (UofT) and a group discussion. As I understand it, Grant proposed a paper analyzing Polley’s film and Guy Maddin’s My Winnipeg. The Programme Committee asked if he might be interested in modifying his paper to suit this disrupted format, and lucky for all of us, he agreed. Grant’s thoughts on the film were engaging and helped to frame the discussion that followed. Thoughtful discussion AND popcorn?! What more could you want? No ACA conference would be complete without the accompanying social events that tend to be both entertaining and educational. We were treated to a preview of the new Canadian History Hall at the Museum of History. Historians and curators grappled with how to tell Canada’s myriad stories, making sure to resist the pull of the dominant narrative. The resulting exhibit is a more traditional museum exhibit than its predecessor, but it engages more fully with the complex tapestry that is this country. It is vast in scope and scale, spread over multiple floors in three separate temporal sections and yet it manages to be surprisingly intimate and it gets the visitor closer to capturing that ever-elusive essence of what it is to be Canadian. The exhibit will formally open to the public on July 1st. This year, the opening reception was hosted in the lobby of Library and Archives Canada’s Ottawa location at 395 Wellington. The shimmering gold pillars made for a lovely open setting for the occasion. Making sure to set our drinks aside, we were welcomed to LAC’s latest exhibit, Canada: Who do we think we are? Qui sommes-nous? Finally, the conference wrapped it all up with the Dinner/Dance. 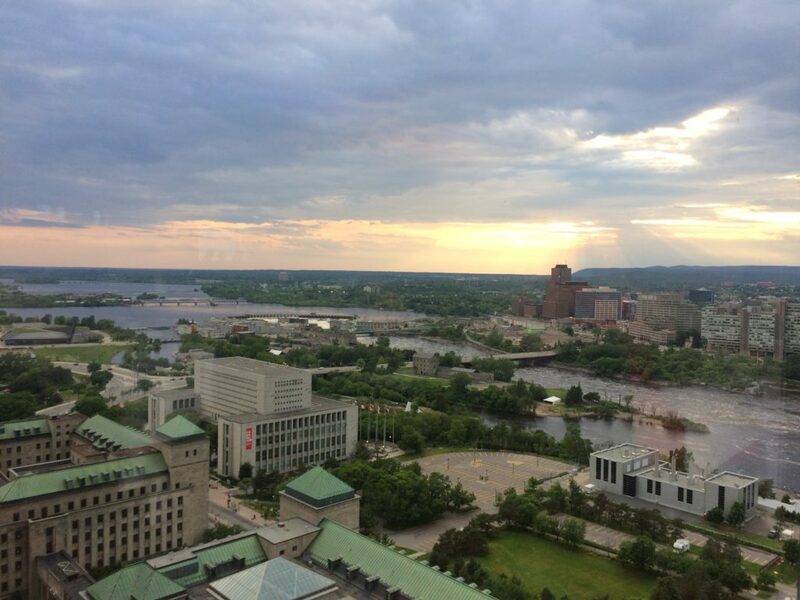 This year, we were treated to stunning 360 degree views of the Ottawa skyline from the top of the hotel. The rotating function room slowly spun us around so that my appetizer was enjoyed with a view of Library and Archives Canada and my dinner concluded with a stunning view of the Parliament buildings. It was a special way to end a fabulous conference! Many thanks to the Programme and Host Committees who really outdid themselves this year!